Having met with IDES a well-known Industry Supplier of Bodyshop lighting. We were pleased with their speed of pricing, accuracy in pricing and a significantly superior own brand lighting. The kit was supplied and installed with keenness and accuracy. Their Team were located in hotels locally each working week and sometimes weekends until the project had been delivered. The timescale was as always going to be tight. The focus put into energy cost saving was way beyond our skillset but has proved (having had the kit in for over 6 months) and delivered every item suggested in terms of quality, superior lighting and cost saving. There isn’t a Motor Manufacturer on the planet that we don’t meet their strict lighting and Lux criteria. Garth and his Team hit every target and have delivered more lighting to us the biggest, greenest and best Paint and Body Centre South of London. A great job with a skilled and competent Team. “Mitchell Inglis are an independent bodyshop that through the years have built up a comprehensive list of manufacturer approvals. Bentley, Lamborghini, Ferrari, Maserati, Porsche, tesla and VWG are to name but a few…..which helps to explain why we are Scotland’s largest independent body repair facility. We rank third in the UK and offer a complete car body repair service, carrying out work to the very highest standard. It is essential that to remain at the top of our industry we invest in the latest technology to ensure our works are completed to the highest quality. We were looking to upgrade the lighting throughout our bodyshop and spraybooths, to reach the 1000 Lux needed by our various manufacturers. Having done extensive research, and spoken to contacts within the industry, IDES came highly recommended and responded swiftly and professionally once we had made contact with them. Following an initial meeting and free of charge site survey, we were promptly provided with a bespoke lighting design and quotation for an LED solution. IDES have significant experience in bodyshop lighting, which is complimented by their own range of LED luminaires suitable for bodyshops and spraybooths. After further discussions, we had no hesitation in awarding them the contract and the way they project managed the installation, working nights and weekends to ensure that we had minimal disruption to our work schedule, was extremely helpful. The resulting installation was a credit to the IDES team and we now easily meet the criteria for any audit. The working environment is fantastic, and the staff feel that the lighting has made a vast improvement, with our sprayers benefitting the most from the new booth lighting. The energy savings are also significant, and IDES certainly provide value for money. Moving to Wrexham North Wales in 2015 to take the pressure off Our Oswestry ARC we found premises and a location that fitted our needs. The 5800sqf building needed converting into an up-to-date Modern Bodyshop by researching and recommendations we opened after just four months. In January 2017 we were offered a larger 12000sqf building in a prime location only 1 mile away from our existing ARC which we had out grown within six months. The building was in a perfect location with lots of scope but had become run down by its previous occupant. The building was in high demand because of its location, so we contacted Garth and he was able to advise us of what was needed, which was rewiring the complete building and New LED Lighting, again with his knowledge of bodyshops he was able to help us design the layout recommend LUX levels and power supplies in the workshop. LED lighting was also fitted by IDES in the offices. The workshop now offers lighting levels above standards required that has made for a perfect working environment. 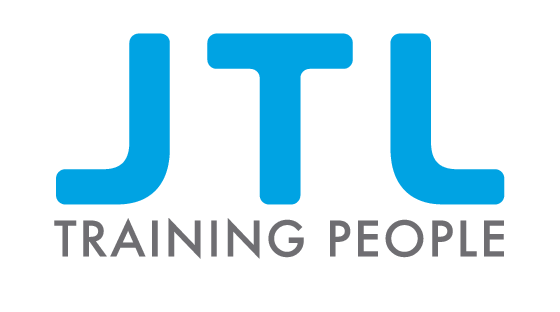 Garth also did some consultancy work for us which was invaluable in helping us and advising us on work carried out in our Oswestry ARC by another Electrical company. As a result of this we were able to get an end result but without Garths advice and expertise, I am sure it would have been a different story. 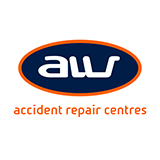 AW Repair Group has worked with Garth Edwards and his team at IDES in setting up three accident repair centres and the electrical maintenance across five sites. Latterly they have assisted in the roll out of LED lighting across the group workshops and offices, first presenting cost saving projections. We have always found IDES to be extremely reliable, no job too big or too small, and very competitive. Occasionally worked needs to be undertaken out of hours which they do so without hesitation to reduce any business interruption. I would certainly recommend IDES to anyone seeking a reliable and professional commercial electrical contractor.